1. Brief study about WAEC. 2. How to get prepared for WASSCE. 3. Rules applied to answering questions. GUIDE 1: WHAT IS THE MEANING OF WAEC? The acronym, WAEC, simply means West African Examinations Council. It is an examination body that conducts the West African Senior School Certificate Examination (WASSCE) for secondary/high school students in West African countries (Ghana, Nigeria, Sierra Leone, Liberia and Gambia). It is a prerequisite for gaining admission into any tertiary institution in Nigeria and other West African countries. Why do I have to sit for this exam? As stated earlier, it is a prerequisite for gaining admission into any tertiary institution in Nigeria and other West African countries. The exam usually runs from April to June. However, dates are prone to review and adjustment. What/How many subjects will I write? Every student taking this examination is expected to register at least nine subjects: the compulsory subjects (English Language, Mathematics, Economics, Civic Education, Data Processing and Biology) for arts, social science and science students and three other subjects relevant to the student’s discipline. What does an excellent/failed WAEC result grade look like? A1 (75 – 100%) is an Excellent grade. B2 (70 – 74%) is a Very Good grade. B3 (65 – 69%) is a Good grade. C4 (60 – 64%) is a ‘Credit’ grade. C5 (55 – 59%) is a ‘Credit’ grade. C6 (50 – 54%) is also a ‘Credit’ grade. D7 (45 – 49%) is a ‘Pass’ grade. E8 (40 – 44%) is a ‘Pass’ grade. F9 (0 – 39%) is Fail. For a student to confidently say that he/she has passed his/her WASSCE, that student must have at least a ‘Credit’ grade in five subjects (including English and Mathematics) relevant to his/her discipline. When are WAEC results released, and how can I check mine? WAEC results are usually released in August or September although dates are sometimes subject to adjustment. See how to check your WASSCE result here. Avoid unnecessary routine exercises. Make time to set a clear and attainable goal for yourself, and work hard towards making that goal feasible. This has to do with creating a study guideline. You carve out time to read and study depending on your daily schedule. Test your reading, spelling and writing skill-set. If anyone comes up short of expectation, improve! Procrastination is a terrible habit that leads to failure. Follow your study guideline diligently. Never walk into an examination hall with the mindset of expecting help from your school. Your expectation may be cut short. You must have independent knowledge of what to write. Besides, whatever is worth doing is worth doing well. Having a WAEC question paper on your desk could be surreal, coupled with the fact it's a one-off exam that is totally different from what you're accustomed to in secondary/high school. This is enough reason to send butterflies ripping down your stomach. Consequently, you become naive, anxious, not knowing how to approach the questions placed before you. But what if someone sat you down in advance and let you in on what to expect? It would be a game changer for you, wouldn't it? Guide 3 will do well to let you in on how to approach questions with ease, thereby learning how to tackle them in ways pleasing to your examiners. Before answering the examination questions, students are advised to cast a quick glance at all questions and attempt to answer the ones obviously known to them before returning back to the more complex ones. As expected, exam papers consist of two sections: objective and essay (sometimes called theory). The ‘objective’ section consists of multiple choice questions. 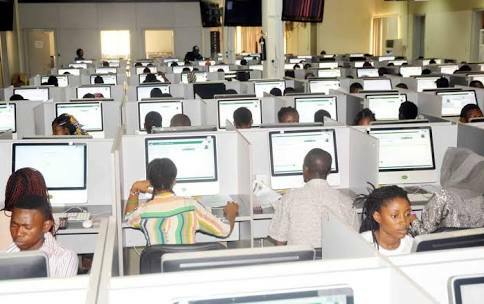 Students are to pick one option from the four options lettered A-D. WAEC allows for only 1 hour to be spent on this section. Outline: To list and explain with precision. Describe: Give a detailed account of any given thing. Identify: To indicate and establish what something is. Enumerate: To mention separately in an orderly fashion. Evaluate: Calculate, establish and tell the quality of a substance. Relate: To show a connection between two or more things. Recount/Give an account: To write or tell something (usually an event in the past). Comment on: Give an opinion (usually in strict accordance to what was taught). Indicate: To point out or show. Compare and contrast: To note what is similar and different. With close reference: To pick out the most important aspects of the text and present them as clear, separate ideas, using examples. Highlight: To attract attention to or emphasize something important. Tier: Something with several rows or layers ahead or beneath it. Function: The work of something. Objective: Aim or desired goal. Characteristics: What something is typically made up of. Practical questions might involve physical or drawn-out specimens that are typically labelled from A, B, C to F. It may contain more. There are easy, yet tricky methods of answering questions. And most students usually fail woefully without knowing. Examine the specimens, (their structures and features) properly before attempting to answer any question. When differentiating in tabular format, be sure to state, by comparing and contrasting, the exact opposite/substitute of something. For example, the difference of ‘Obi is a boy.’ would be ‘Ada is a girl.’ Avoid inter-changing answers, e.g., Obi is a boy; Ada is a woman. Specimen: Something shown or examined as an example of its species. Dissect: To separate into several pieces and expose several parts. Taxonomy/Classify: Arrange something (especially organisms) in class or categories they belong. Domain/kingdom/Phylum/Class/Order/Family: They're all orderly breakdown of organic taxonomy. Specie: Organisms with similar attributes. Apparatus: Technical equipment used for carrying out a particular task. The key to scoring high marks in practical is to pay rapt attention to instructions. It is the desire of every student to write WAEC once. If you consider the money, time and effort spent, you'd see the reason for such yearning. Research has shown that students fail WAEC because they have little or no knowledge of the above guidelines. In other words, if students have much understanding of these three markers and work tirelessly to perfecting each of them, failure will be far from them. WAEC has often been described by many as a difficult examination. However, with the exception of a few who confess how easy it can be, such negative perception is and would always be up for debate. All you need to do is to work hard in order to be among the very few who see the examination in a good light.